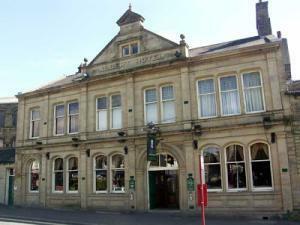 Albert Hotel01535 602306work Public HouseAn imposing Victorian town centre building. Large, open plan ground floor drinking area, served by a splendid horseshoe-shaped bar. There is a separate, raised level games area with pool table. A large well appointed function room upstairs is available for hire. Lively at weekends. An imposing Victorian town centre building. Large, open plan ground floor drinking area, served by a splendid horseshoe-shaped bar.